The Third Squad reports the arrest of a West Hempstead man on Wednesday, November 19, 2014 at 12:00 in Mineola for Burglary. Mineola, NY - November 20th, 2014 - The Third Squad reports the arrest of a West Hempstead man on Wednesday, November 19, 2014 at 12:00 in Mineola for Burglary. According to detectives, on October 31, 2013 Third Squad detectives responded to Coach Realtors located at 116 7th Street, Garden City for a burglary. During the investigation a Nassau County Crime Scene detective discovered a latent fingerprint on items moved during the burglary. The print was determined to belong to the defendant Francisco J. Palacios, 26 of Fairlawn Avenue. Detectives located the defendant on Wednesday, November 19, 2014 at 12:00 p.m. in Mineola. He was placed under arrest without incident. Palacios is charged with Burglary 3rd degree. 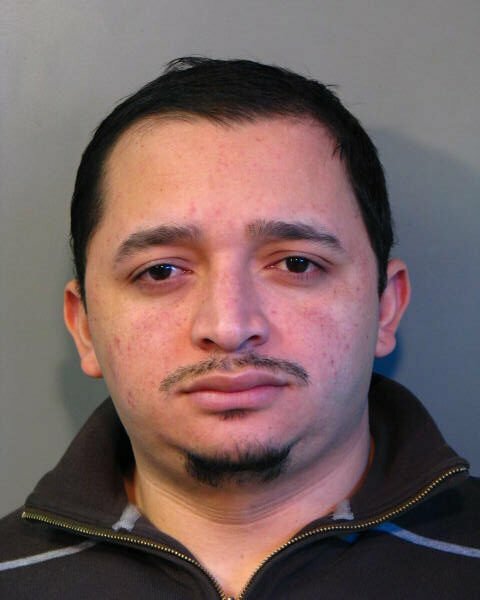 He will be arraigned on Thursday, November 20, 2014 at First District Court in Hempstead. Subject: LongIsland.com - Your Name sent you Article details of "W. Hempstead Man Arrested for Burglarizing Mineola Realtors Office"